Melvins in Montreal or Quebec City? Inform me about the next events for Melvins. Enroll yourself to our priority waiting list for Melvins to be alerted when new tickets are available. Filling this form doesn't engage you to any purchase. The Melvins are coming to Montreal! 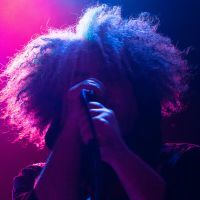 On September 3rd, 2010, the Melvins will be performing at Club Soda. Since their creation in the early 80's, The Melvins released 20 albums. The latest, The Bride Screamed Murder, was made available in early June.